I loaded up on matcha when we were in Kyoto because I thought I’d be whisking myself a bowl of matcha every day upon my return (not the case). Matcha has been around for thousands of years and is made up of green tea leaves that are finely ground into a powder. Since the whole leaf is ingested, it’s more nutritious than regular green tea. It kind of tastes like a really delicious bowl of grass. 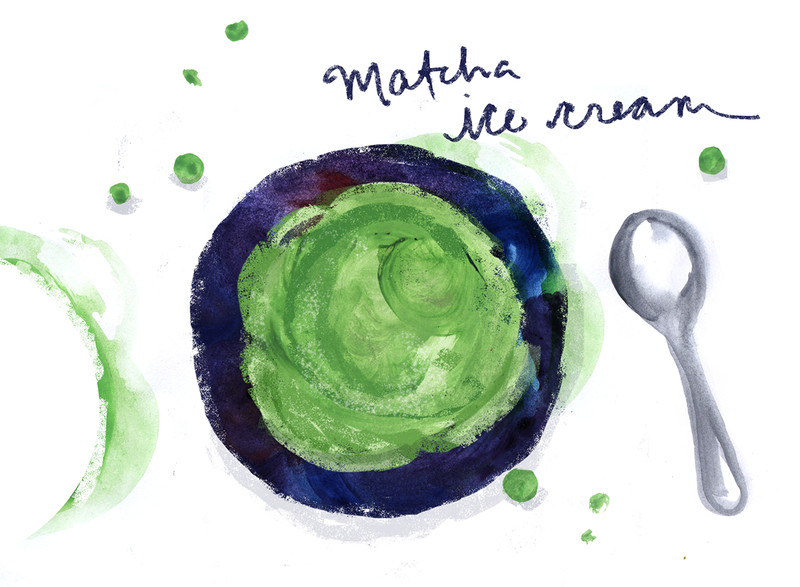 In this recipe, the slightly bitter taste of the matcha is balanced with just enough sweetness and the matcha powder gives the ice cream a beautiful bright green color. 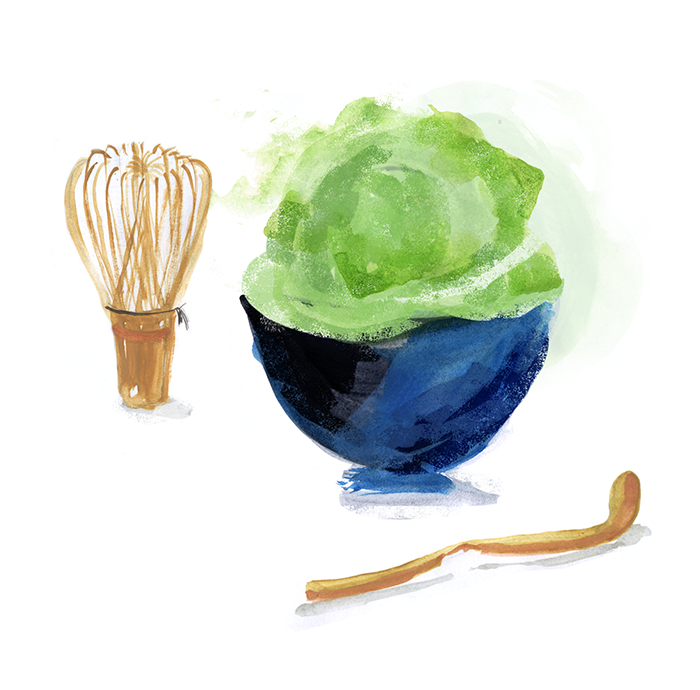 In a large bowl, whisk together the heavy cream and matcha (there may still be a few lumps at this point). Place bowl in fridge while preparing the next step. Place the egg yolks in a medium bowl and whisk in the sugar and salt. Heat the milk in a medium saucepan until hot and steamy, swirling occasionally. Slowly whisk the milk into the egg mixture. Pour the milk/egg mixture back into the pot and return to the stove. Cook over medium-low heat, stirring constantly with a flexible heat-proof spatula, until the custard begins to form a thin film along the bottom of the pot, or the temperature reaches around 170ºF. Immediately pour the custard into the bowl of cold matcha/cream to stop the cooking. Mix together until smooth. Cover and chill thoroughly, preferably overnight. Churn ice cream in an ice cream maker according to the manufacturer's instructions. Eat right away for soft serve ice cream, or freeze in containers for a few hours. When firm, scoop and serve! To store ice cream, press plastic wrap directly over surface to prevent ice crystals from forming.